"Our commitment to you is to make your real estate experience as pleasant as a walk on the beach through dedication to high standards and personal attention." 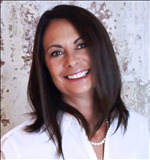 Irina Zioubina is an experienced Realtor, serving clients in Jacksonville, Ponte Vedra and Saint Johns since 2001. She thinks the best part of Real Estate is helping her clients find the perfect house, and you can always rely on her honest opinion and sound advice. Irina speaks Russian and has worked with clients from all cultural backgrounds. She lives with her husband in St. Augustine, and has two adult daughters, who live in NYC and Paris. When she is not busy helping her clients with their home search, she likes going to the beach, traveling, and reading. Irina is looking forward to meeting you and helping you find your dream home! Daniela McCarthy is an international Realtor who has been in the Real Estate Industry since 2006. In addition to being a real estate broker, she has earned numerous designations and certifications among which are: CIPS (Certified International Property Specialist), Relocation Specialist, AHWD (At Home With Diversity), E-Pro, BPO (Broker Price Opinion), CSA (Certified Staging Advocate). A world traveler, Daniela is very accustomed to working with clients of all nationalities. Having lived in the Ponte Vedra area for over twenty years, she has an extensive knowledge of the Beaches and Intracoastal areas and has sold real estate throughout Jacksonville metropolitan area. Besides helping her clients, Daniela likes to travel, play tennis, and is involved with women's and multi-cultural groups.